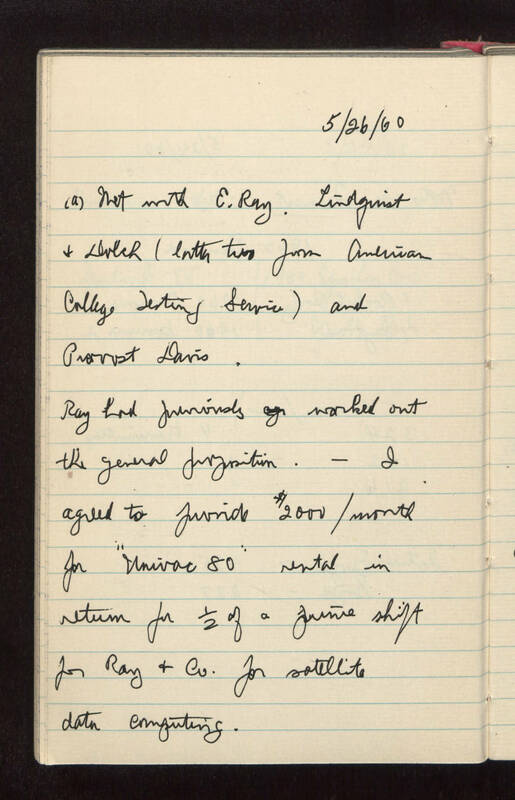 5/26/60 (a) Met with E. Ray, Lindquist and Dolch (latter two from American College Testing Service) and Provost Davis. Ray had previously worked out the general proposition. - I agreed to provide $2000 per month for "Univac 80" rental in return for 1/2 of a prime shift for Ray and Co. for satellite data computing.